This is officially serious news! 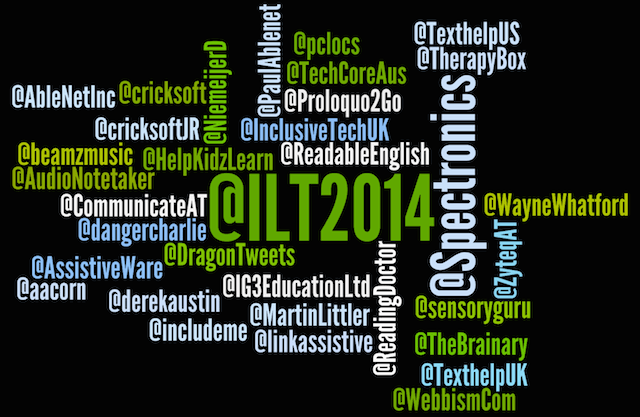 ONLY ONE WEEK until the Inclusive Learning Technologies Conference 2014 kicks off on 20th May on Queensland's Gold Coast! If you have registered already, have you checked out the TOP TEN things you should think about doing to be sure you get the MOST out of your conference experience. I've copied it in again at the end of today's newsletter for you as a reminder in case you have flagged it to look at a bit closer to the conference. With one week to go, it's critical to get all your conference ducks in a row! ASAP! If you haven't yet registered, YES there are still places left! We can definitely still fit you in and warmly welcome you joining our vibrant and enthusiastic #ILT2014 Conference community. What if you can't be there but want to be a part of the Conference? An ILT2014 Conference Virtual Registration offers you access to videos of all of the most popular sessions presented at the conference! All to be available to you a week after the ILT2014 Conference is over. All viewable for a full 12 months afterwards with the option of downloadable certificates of attendance for each session viewed if you require these for professional learning/accreditation credits. The 25 presentations (40 full hours of video) chosen for inclusion as part of the #ILT2014 Conference Virtual Registration experience are now up online. Just visit the Conference Virtual Registration Page to see them all listed … or check out the ILT2014 Conference Program page and select the cool little Virtual Registrations checkbox to see them light up in blue! With so many awesome presenters joining us from many different countries, we need to be sure we don't overlook our own local talent! So today, meet Greg O'Connor, Special Education Teacher, Manager of Spectronics' Consultancy Services Team and Byron Bay Bluesfest tragic. Greg is well known in EdTech and assistive technology circles internationally, regularly attending and presenting at iconic events such as the ISTE (International Society for Technology in Education), ATIA (Assistive Technology Industry Association) and Closing the Gap Conferences. Along with a growing number of conferences in SE Asia in addition to his gigs across Australia and NZ. So we are looking forward to his insights during his "Keynote Address: Try Another Way. Like it's a Bad Thing?" A presentation which will explore the intersection of the future and technology in education for students with diverse learning needs. Looking at the world of possibilities that await them and their educators in mainstream and special education settings. This session will be filmed in full to be offered to people who sign up for our NEW Virtual Registration option. Also watch out for Greg hosting the Five-Minute-Sharing Sessions on the first day of the conference, supporting many first-time conference presenters as they share short vignettes about their work or lives with students with diverse learning needs. He will be hanging around the Spectronics Lounge most days too and, of course, if you hear live music in progress, it's a good bet that Greg won't be too far away! Learn more about Greg here. What does the full ILT2014 Conference program look like? 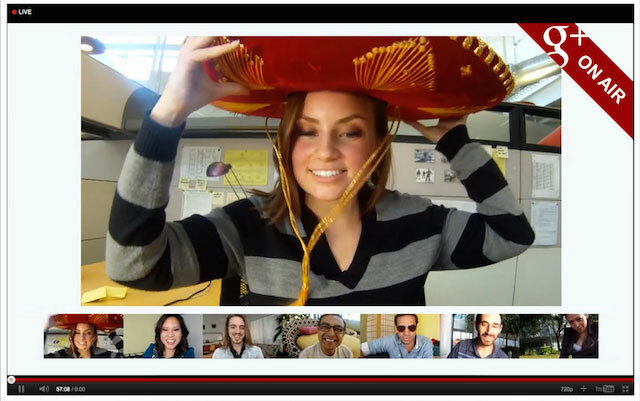 Join five of our Google-savvy ILT2014 Conference presenters in their "Getting Ready for the ILT2014 Conference Google Hangout" happening tonight! Tuesday 13th May at 8.00 pm AEST (Australian Eastern Standard Time). Learn about the Google-related topics to be covered during their sessions within the conference program. Listen as they share their thoughts re the positives and negatives of the growing number of assistive technology supports via Google apps and Chrome extensions for students with diverse learning needs. Ask questions for live answers from the panel too! Meet our awesome exhibitors | Some visiting Australia for the very first time! Some of our exhibitors are visiting Australia for the very first time, adding to our sense of privilege at having them join our conference as valued and enthusiastic participants. So, make sure you allow time for two hours of free drinks and canapes in the Exhibit Hall on the first day of the conference. From 5pm to 7pm on Wednesday 21st May. I repeat. Free drinks and food. See you there!! Select your preferred sessions within the program or make changes before Thursday 15th May. As per the instructions emailed to you recently. If you need the instructions on how to do this resent to you, contact us on conference@spectronicsinoz.com or phone Spectronics' Brisbane office on (07) 3808 6833. 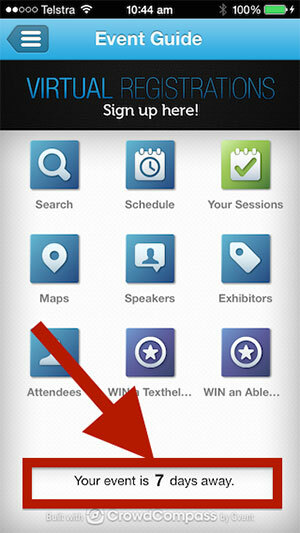 Attending any BYO iPad or BYO Laptop sessions during the conference? Make sure you check out if there are any recommended apps that need to be installed before you arrive. Just read the session description on the Conference Program page to find this info. Join five of our Google-savvy presenters in our "Getting Ready for the ILT2014 Conference Google Hangout" scheduled for tonight! Tuesday 13th May at 8.00 pm AEST (Australian Eastern Standard Time). More details in the Google Hangout article above. If you miss it, you can also check out the recording of the Hangout here on Spectronics' YouTube Channel. Enter the competitions! Both the AbleNet iPad Accessibility Bundle Competition and the Texthelp Literacy Bundle Competition. Awesome prizes and the closing date for entries has just been extended. Now not closing until 5pm on the first day of the conference! Wednesday 21st May. Have you booked your accommodation? A limited number of rooms are still available onsite at Jupiters Hotel, our conference venue, and we recommend that you book using our discounted accommodation rate booking instructions. Starting from $199 per night with the option to share a twin room available too. I lied! We now have 11 things for you to do to get ready! In addition to the Blues on Broadbeach Music Festival happening the week of the conference, we also will be having a bit of our own in-house music festival, courtesy of having Kevin Honeycutt onsite with us. Seriously, anyone who travels with this awesome mobile musical podium kit is not going to have a musical instrument out of his hand for too long! So, if you have room, why not pack your guitar or other musical instruments. Kevin Honeycutt will be in the house and ready to jam after hours! PS Most of our delegates are saying that they will be bringing their own mobile devices to the conference, but if you do not have access to one, we will have a limited number of iPads for loan during the three days of the main conference program. These will be available for collection during the morning tea break of the first day of the conference, Wednesday 21st May, to be returned by lunchtime of the final day, Friday 23rd May. No pre-booking is possible, just turn up at the Spectronics Lounge outside the main Keynote Presentation room, and the Spectronics team will be happy to sort out a loan … for as long as they have iPads available.